GapCap aims to solve the common cash flow problem felt by SMEs. We achieve this by removing the time lag between when you raise an invoice and when you are actually paid by your customer. This gives you the short-term finance you need to grow. 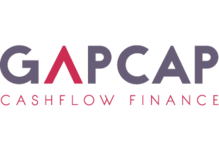 GapCap's selective invoice finance allows smart businesses to raise cash against their invoices in 24 hours without any of the drawbacks of a traditional invoice facility. From inception in June 2014, GapCap has gone from strength to strength. With more and more SMEs looking for alternatives to traditional banks, GapCap provides a smart alternative for entrepreneurial and growing businesses. We see our clients as partners not simply customers. We develop real relationships with them to find the right cashflow finance solutions to suit their needs. Our senior team merge over 50 years experience of asset based finance with a dynamic & creative mindset. We insist all of our staff buy into the GapCap ethos and are on hand to offer advice and guidance to ensure your business grows and keeps growing.